Microsoft had released the new Windows 8.1 operating system version, and the company had made this a full version release and thus you would be getting this one as a retail packaging. The release date has been confirmed by Microsoft, and it should be rolling out from 17th October 2013. The update would be available directly for the users who have been using the official version of Windows 8 OS. For others, it has to be the retail package which the user has to purchase, if at all they want the latest Windows OS version for their computer, directly from Windows 7 or earlier versions. Microsoft has been able to make a lot of changes to the Windows 8 after addressing all the issues that the users were facing, and based on the suggestions, the 8.1 version of Windows was being made. 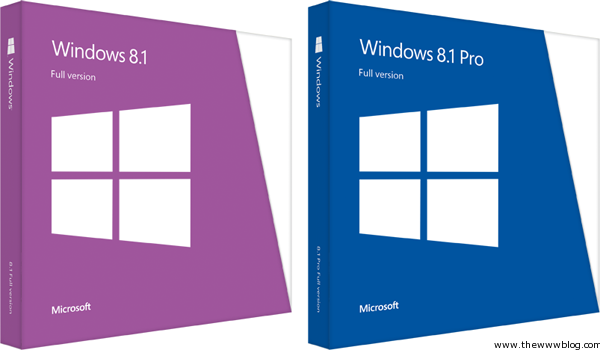 The RTM version of Windows 8.1 is officially available right now, from the MSDN and Technet and you can try out that before you make a decision whether to purchase the official package of Windows 8.1. The Windows 8.1 is priced at $119.99 if you are trying to purchase it for a direct upgrade from the Windows 7 OS, and if you want to have a Pro version of Windows 8.1, it would cost you $199.99. It’s good that the prices are the same at which the Windows 8 too is currently being sold, so Microsoft isn’t charging anything extra for this new version for a direct upgrade from Windows 7 or other Windows OS. An upgrade from Windows 8 to Windows 8.1 won’t be charged, but if you are opting to have the Windows 8.1 Pro with the Media center, you would need to shell out $99.99 for that. Not that impressive when you weren’t expecting to have a new OS version already and now you have to pay that much for a Pro version of it, when you are already using the new Windows 8 OS. There are some excellent additions and changes to the features done from the previous version, and it includes the Bing-powered Single search which brings you the results from the several sources, including PC, Apps and the Web. The Windows Store is revamped to have an entirely new look and there are some enhanced new features in it. There’s even Built-in cloud storage and Fast, full-screen browsing included.